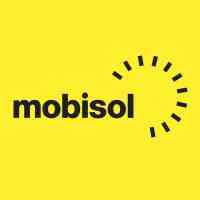 Mobisol Group is a leading global player in decentralised solar electrification. Driven by market demand for off-grid solutions beyond lighting, Mobisol designs, distributes and services large solar systems, seamlessly integrated with proprietary pay-as-you-go (PAYG) software. By combining the latest high-tech solar hardware with mobile payment technologies, the Berlin-based company ensures affordability through flexible payment plans. Mobisol enables rural families and businesses to power a wide range of compatible appliances, such as televisions and stereos, thereby improving people’s standard of living and enabling incremental income from new solar-powered businesses. With over 600 employees, Mobisol runs its own operations in Tanzania, Kenya, and Rwanda, while providing hardware and software solutions through a growing network of B2B partnerships in another nine countries worldwide. Business Development Manager- Channels is responsible for setting up New Distribution Channels and Launching New products in new Market. To provide strategic direction for Channels Distribution to increase their profitable through defining and answering different channels dynamics. • Provide support/advise to the sales department on distribution channels and new products strategies for the country with the assistance of the Chief Sales Officer. • Channels intelligence and timely sharing of critical information to management to facilitate decision making and feed into the strategy. • Suggest adjustment and revisions to current sales and promotional strategies to improve sales and profitability based on market research and new trends in the market channels. • Monitor the Channels sales process through data analysis, collecting and analyzing data from sales report. o Developing methods and strategies for assessing large amounts of data with marketing and sales team. • Prepare and submit project and strategy execution report for the management and Chief Sales Officer on channel acquisition and the effective use of channels to generate sales within the planned budget. • Lead the Business Development Channels and Products by proposing a strategy for the Channels, managing the resources, budget, impact and focusing on results and revenue for the New Products. • Effective management of all channels queries, complaints and requests are timely managed to build a lasting brand. • 4+ years of experience Channels/any sales background. • Ability to maximize business opportunities. • Fluency in both English and Swahili. The position will offer you exposure to the renewable energy industry and a very cultural diverse team that will foster and fasten the efficiency of the team and organization. Working with a very diverse young workforce that stimulate the delivery on work.